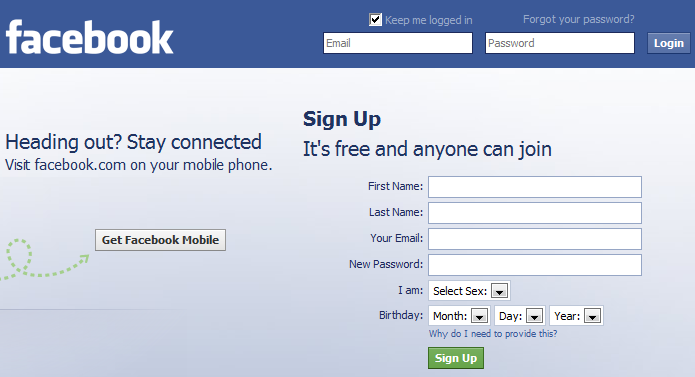 Facebook is known worldwide and takes only a few minutes and an email address to sign-up! Seattle has particularly strong information technology and a higher percentage of college graduates than any other major American city, with approximately 53.8% of residents aged 25 and older holding a bachelor degree or higher. I think it’s safe to say that Facebook made a pretty good move opening a new engineering office to the great city of Seattle. The talent that the area has proven to produce could only keep Facebook at the top of the social networking phenomenon, where it seems to be comfortably sitting followed by Myspace (who coincidentally have an office in Seattle already). It might just seem like a new office, but this marks the first engineering office for Facebook in the U.S. besides the company’s headquarters in Silicon Valley. Vice President of Engineering at Facebook, Mike Schroepfer, is use to recruiting engineers from the emerald city to join the social networking site in Palo Alto, California. Now his excitement is finding those to fill out the new spot. Move-in date for their Northwest location is looking to be July although no office location has been chosen. They are looking for space to fit roughly 30 employees and have yet to decide where to be in the big city. A cozy spot on the eastside in the BelRed (Bellevue/Redmond) area near their partner Microsoft is an option or also in the heart of the city near technology giants such as Amazon. Facebookis not the only one to benefit. This will potentially give a few engineering and tech geniuses the opportunity to work for a great company. Maybe Facebook will like Seattle so much they add an even bigger office in the future! After all it is known as one of our nation’s top software engineering hubs. Seattle is the birth place for much of today’s technology master minds and it’s great to see more companies taking advantage of the young tech junkies, eager for work at a well respected and fast on the move company. How interesting – it’s cool to see how Facebook is developing in parallel to their audience. Great article.